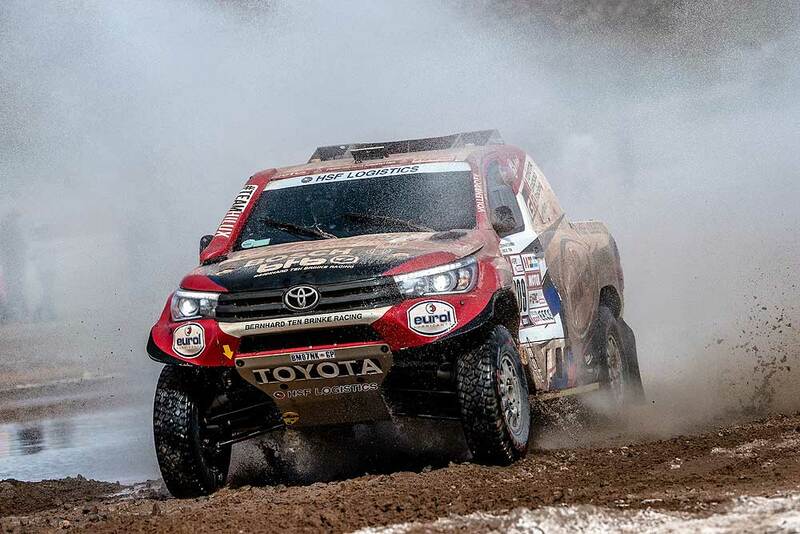 Qatar’s Nasser Saleh Al-Attiyah claimed his third stage victory and the Toyota Gazoo Team’s fourth in SS12. 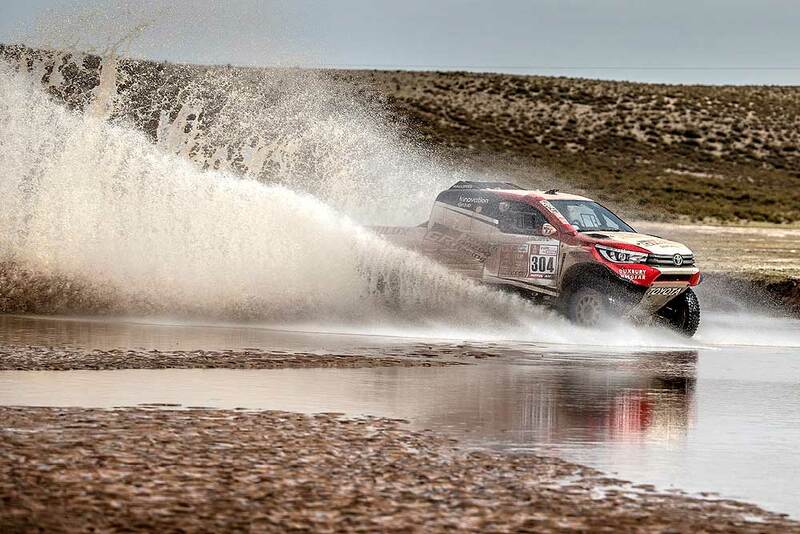 Al-Attiyah and French navigator Matthieu Baumel began the day 01:24:02 hours behind leader Carlos Sainz after the Spaniard’s time penalty was removed by race stewards and now trail by 01:05:55 in 3rd overall with two stages remaining before the finish in Córdoba on Saturday. The two-time event winner’s stage win was the 29th in his Dakar career. "It’s good to win again," said Al Attiyah. "We really attacked, most notably on the second timed section to conserve our 3rd position. It was not easy because the terrain was particularly broken and it cost us two flat tires in each of the sections. But we achieved our objective of taking near to eight minutes from our team-mate Bernhard." Bernhard Ten Brinke and French co-driver Michel Périn continued where they left off the previous day to clock the quickest time at the end of the first section of the special, despite being the first crew on the road. The Dutchman reached the end of section one 1:28 minutes in front of team-mate Al-Attiyah, with De Villiers in 5th place, 2:22 mins adrift. He went on to set the fifth quickest time and maintained 4th in the overall classification. "It was not easy to open the track without the motorcycles, but I learned a lot," said Ten Brinke. "Michel was also very good and, on the first timed section, we were very fast without making mistakes. It was physically demanding, but we continued to attack on the second part until we scared ourselves a little and Michel recommended me to slow a bit. We also had a problem with the battery, but I knew which sensor to disconnect to fix the problem, so it did not cost us much time. We just had to finish without air conditioning, but I am particularly happy with the result because I was expecting to concede 10 or 15 minutes by starting first over such a distance." South Africa’s Giniel De Villiers and German co-driver Dirk von Zitzewitz finished the stage in 3rd position and maintained 4th in the rankings after punctures and a shock absorber issue cost them some time. "It was a long day with a lot of stones to avoid and difficult navigation in the rivers," reported De Villiers. "I suffered two punctures before breaking a shock absorber spring and then I was stuck in the dust of another competitor for a long time. But it was fun to drive in this stage. Everything is still possible because it is still a long way to Córdoba."